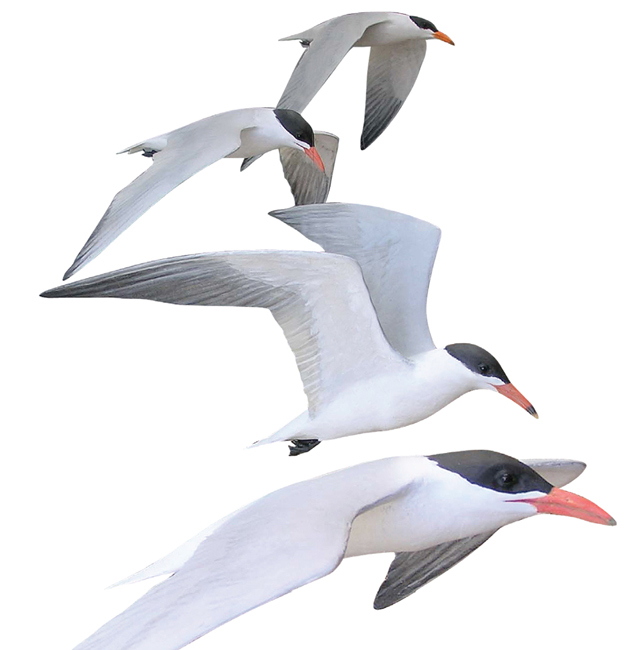 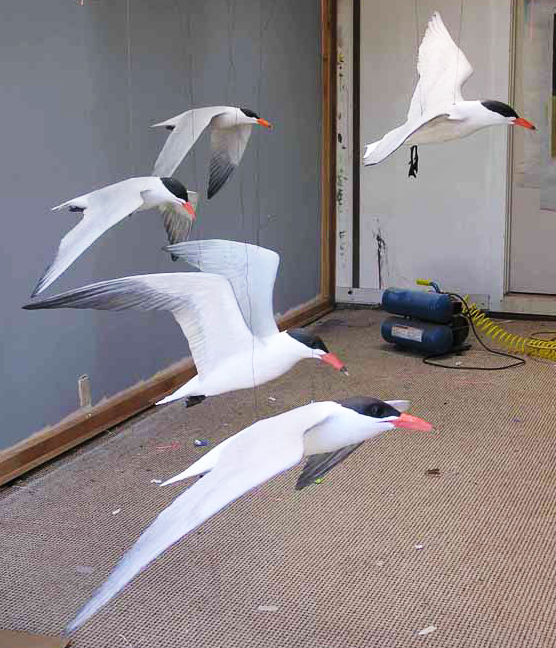 Alumni Exhibits fabricated five scientifically accurate models of Caspian Terns to hang overhead. 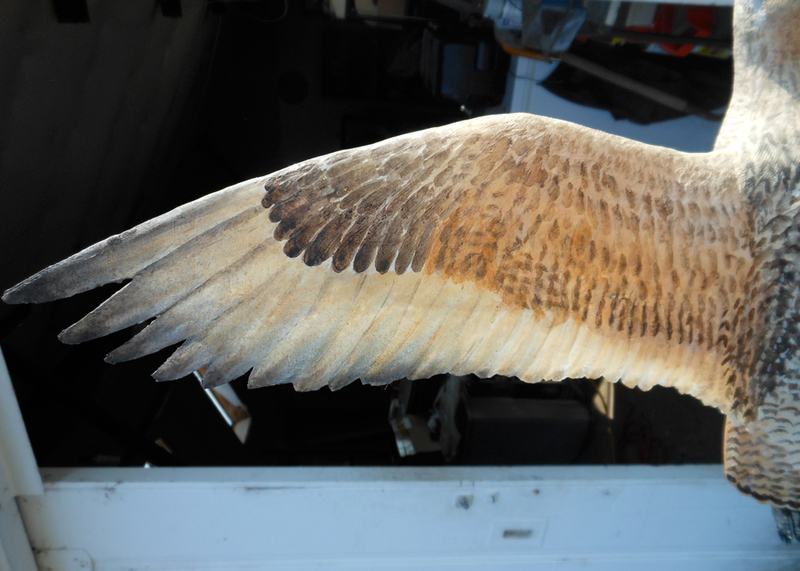 The paper thin edges of the wings and tails were sculpted from transluscent materials so they would appear as they do in nature. 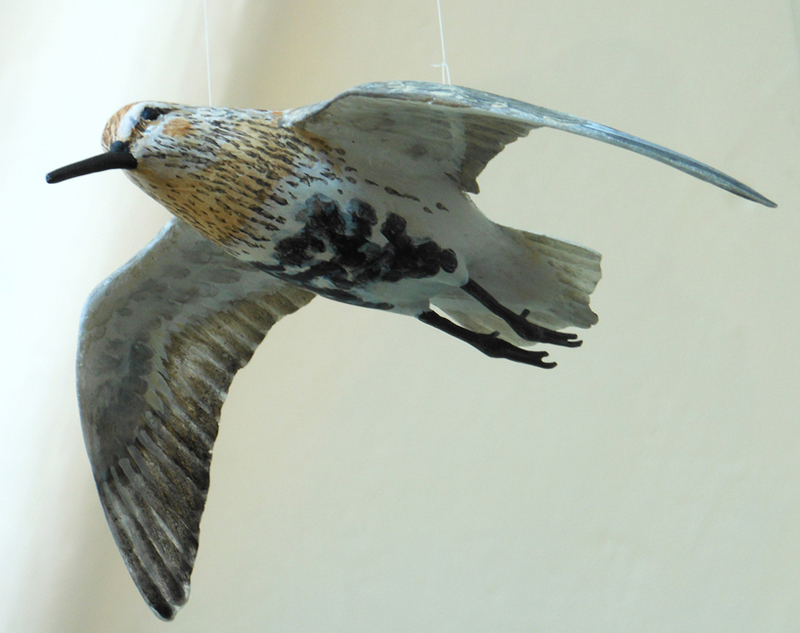 Shannon Smith was instrumental in the fabrication of these models. 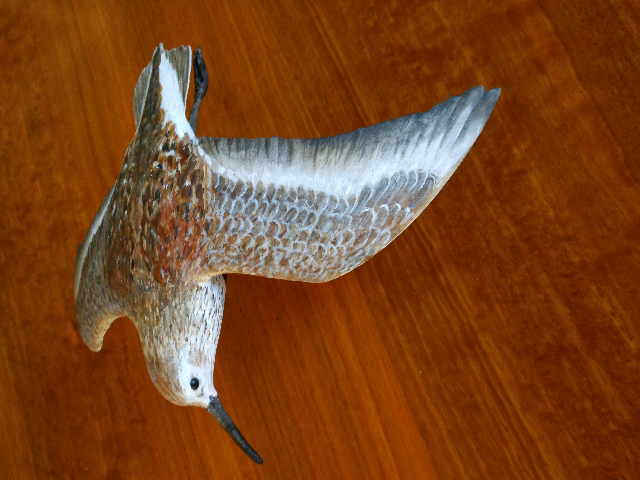 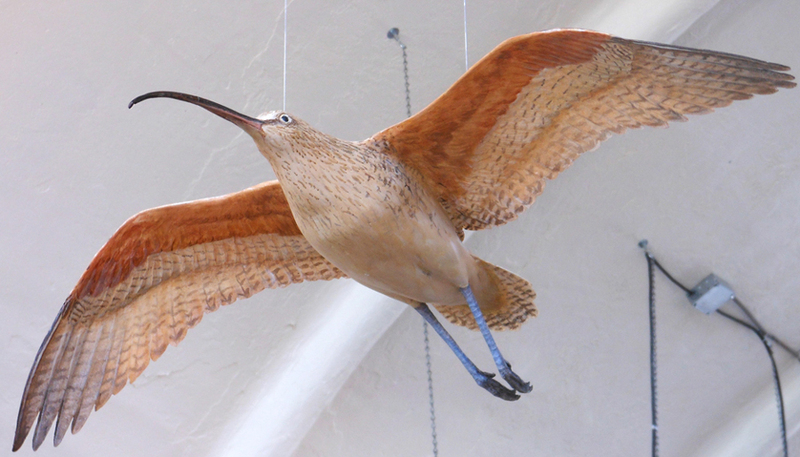 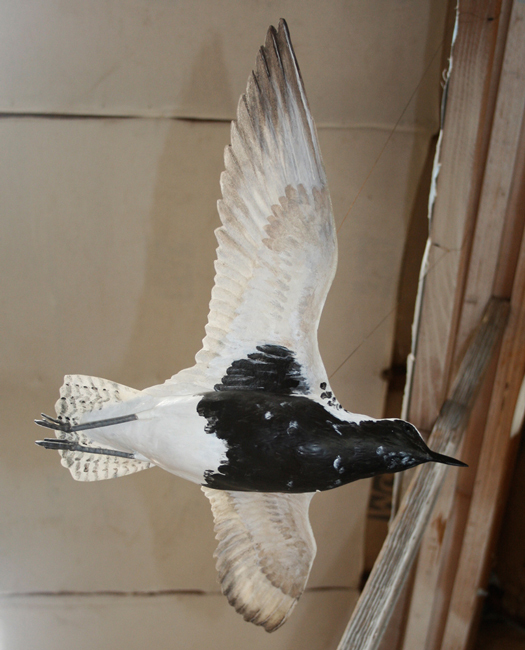 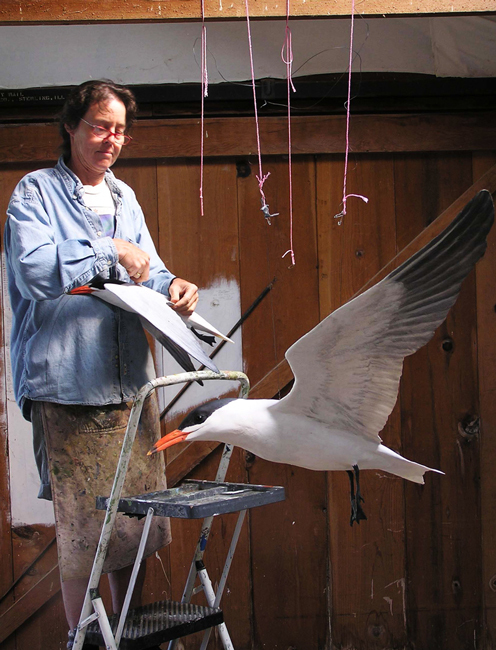 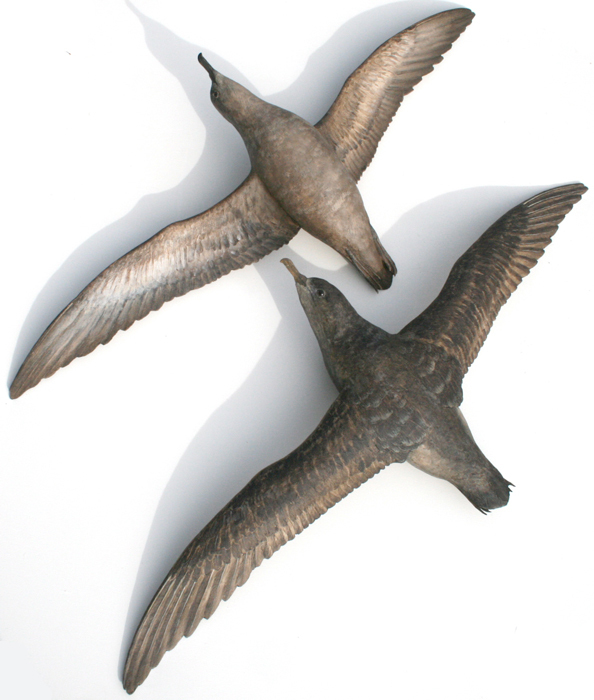 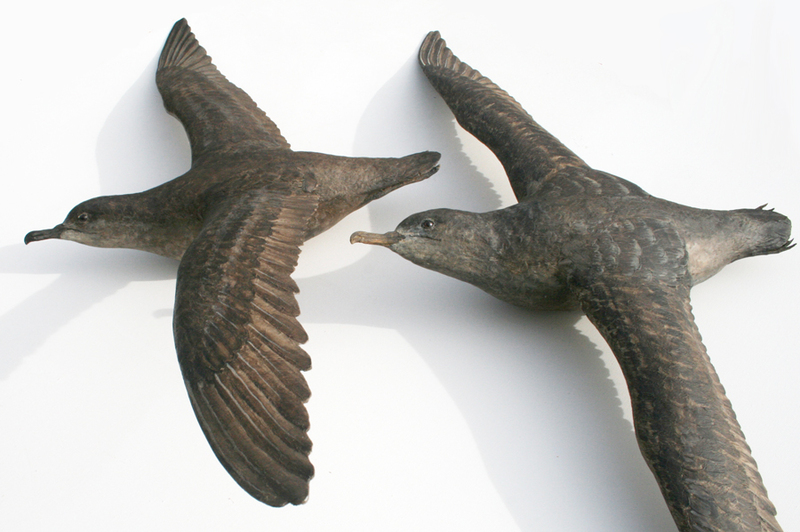 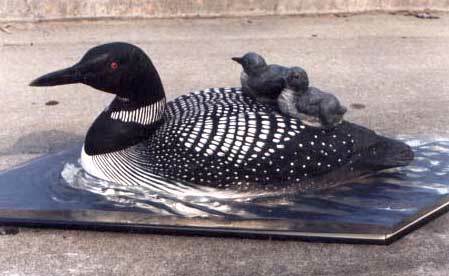 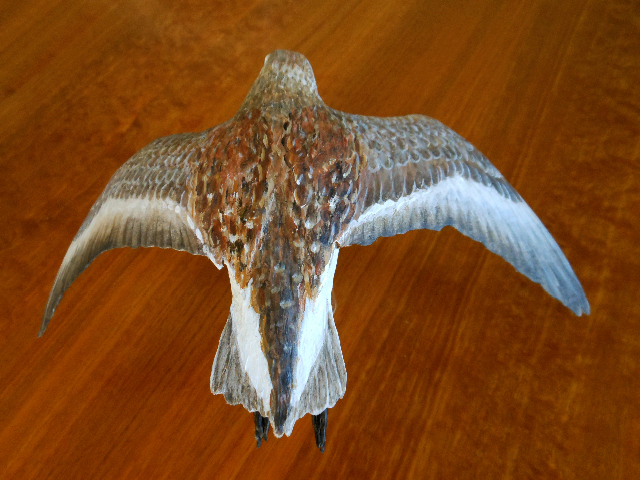 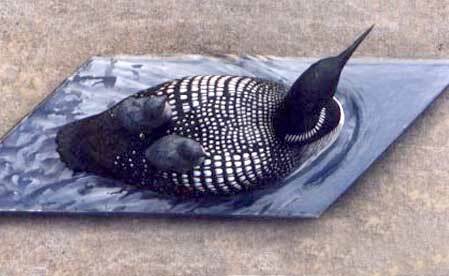 Alumni Exhibits completed 2 models of shearwaters to be displayed in Santa Cruz County in 2013. 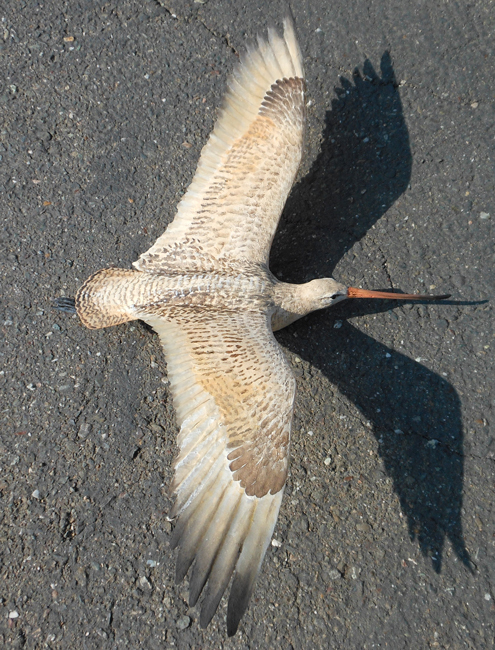 One will be at the Seacliff State Beach in Aptos. 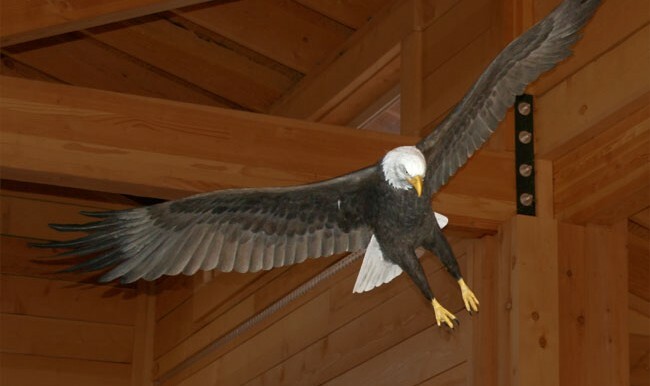 Bald Eagle at installed at the Harnish Visitor Center. 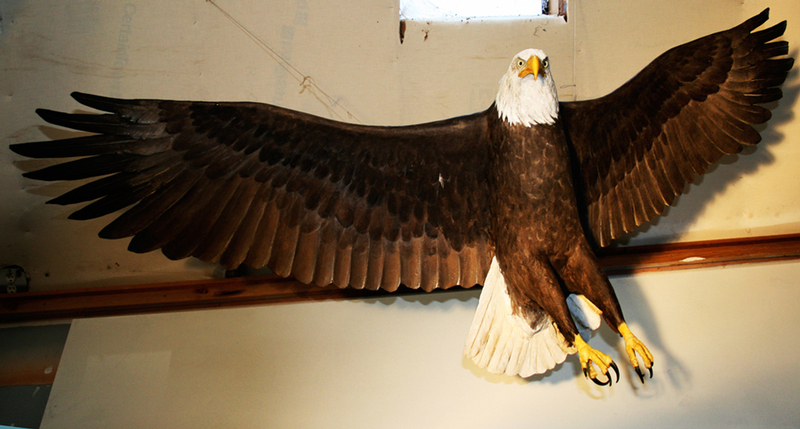 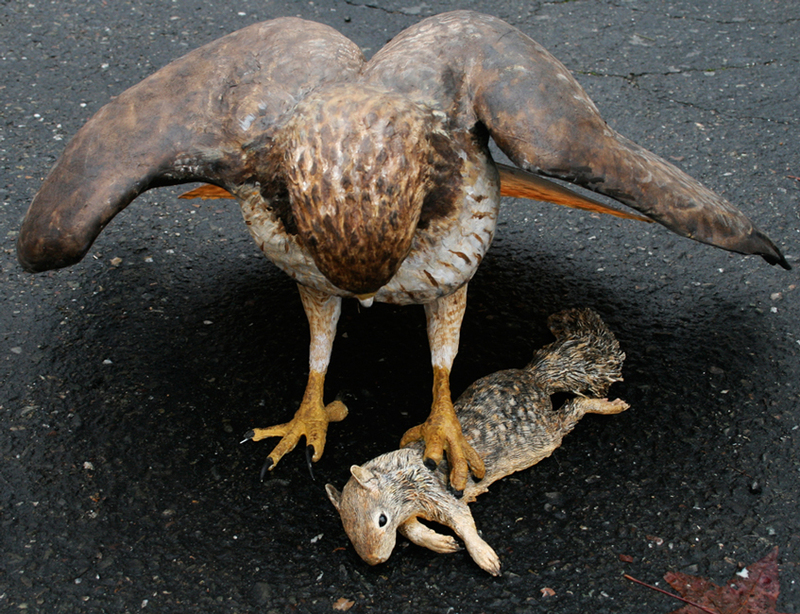 A full scale model of a Bald Eagle was fabricated for the Harnish Visitor Center. 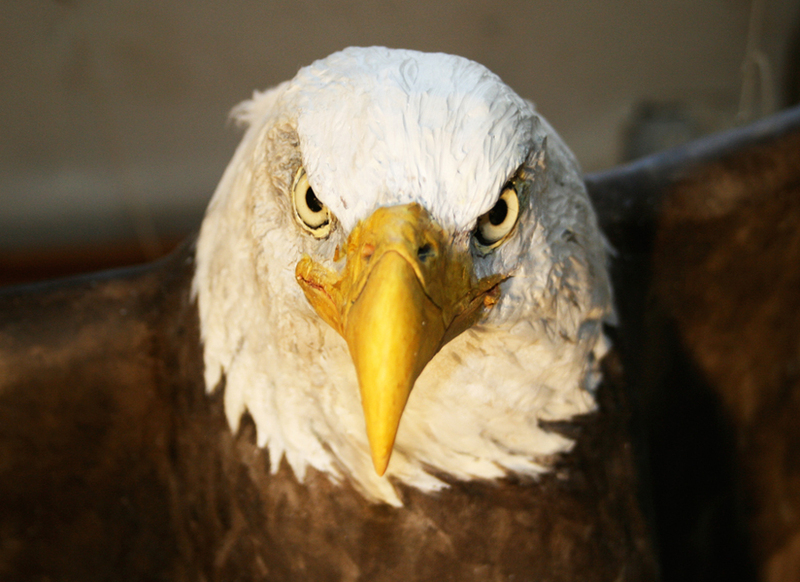 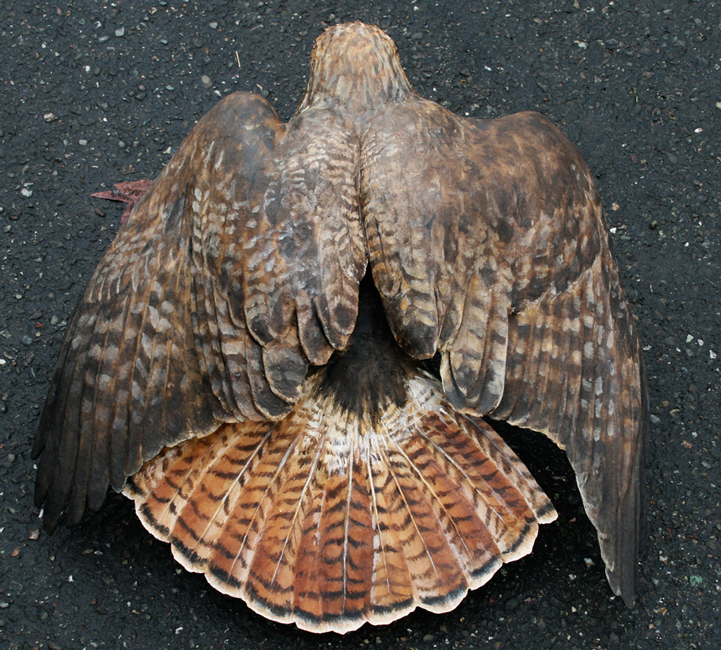 In the areas of Eagle Point, Oregon, the eagles hunt the Coho salmon by swooping down and snatching the fish out of the water with their talons. 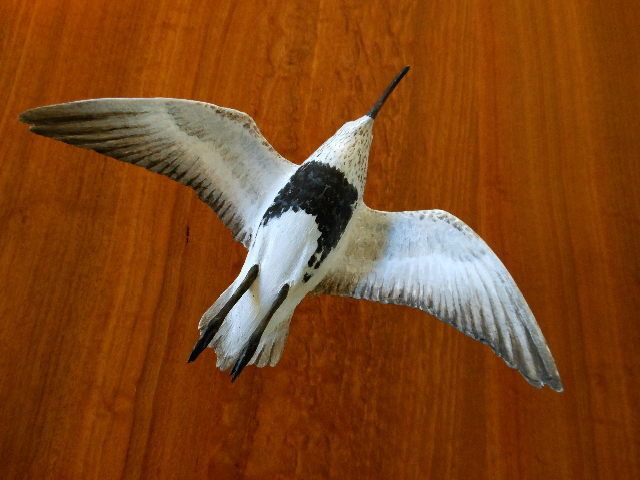 The pose of the model demonstrates this activity. 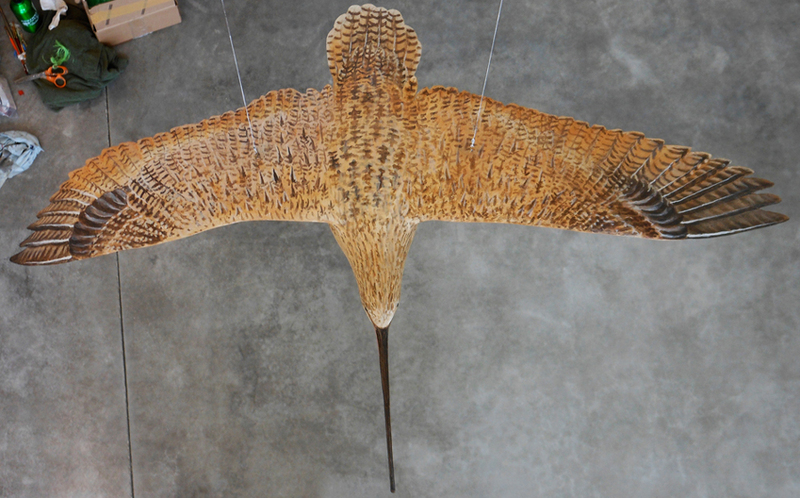 Detail from the Bald Eagle at installed at the Harnish Visitor Center.